A small percentage of you might recognize the title for this recipe and that’s because it’s one of the first that I ever posted on the blog. Like many of my earlier recipes (and a few from not that long ago), the photography, the writing and the format makes me want to bury my head in the sand. In fact, if I had the time I would probably redo at least half of them on here. And then two years from now I’ll probably look back and want to change them all again, ha! I try my best to remind myself that it’s all a part of the process. You have to start somewhere and it might not be perfect but you learn as you go, right? The funny thing is, even with my awful pictures and cringe-worthy writing this recipe has continued to be one of the most popular on my blog. I would say that I’m surprised by that but based on the fact that it’s been one of our household favorites for the past 6 years now, it’s not hard to see why. 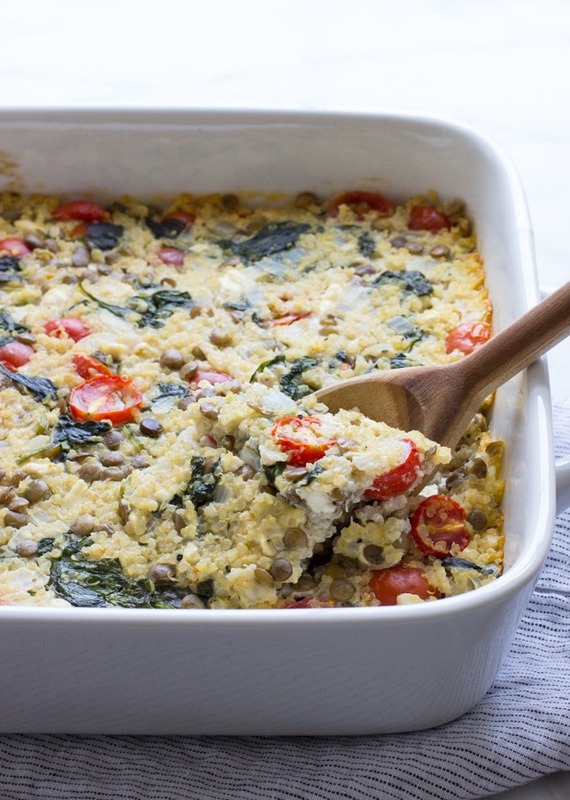 The combination of healthy ingredients like quinoa, lentils, and spinach paired with the Mediterranean flavors of crumbled feta, cherry tomatoes, and fresh dill makes for one tasty casserole that you can feel good about eating. Between cooking the quinoa and the lentils and sauteing the spinach, it’s not the quickest of meals but with a little preparation it can come together relatively fast. I like to cook the quinoa and the lentils the day before to help save time. 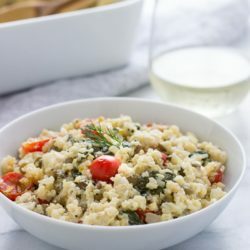 Then the day of all you have to do is saute the spinach, garlic and onion and combine it with the tomatoes, lentils, and quinoa in a large bowl. 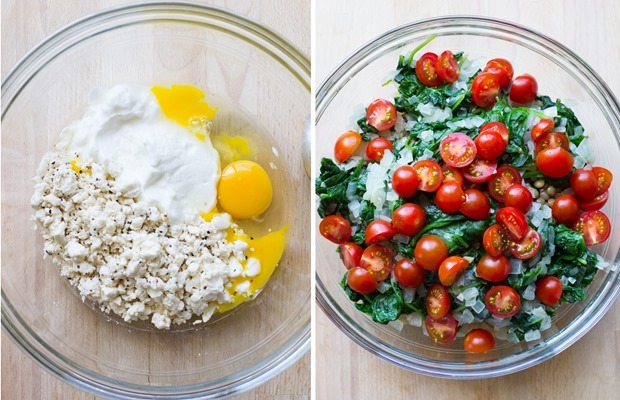 Once that’s done, you mix the feta, egg, and Greek yogurt together in a separate bowl then add the quinoa mixture and stir everything together. Then you just spread that creamy goodness into a greased casserole dish and bake for about 40 minutes, until a light golden crust forms. For as good as it tastes, you would never guess that each serving is less than 500 calories. That leaves plenty of room for a side of crispy whole grain pita and a glass of white wine, right? Start by warming the olive oil in a large skillet over medium heat. Add the garlic and the onion and cook for about 3 minutes. Then add the spinach and stir together. Cover the skillet with a lid and allow to cook for 5 minutes, removing the lid to stir half way through. 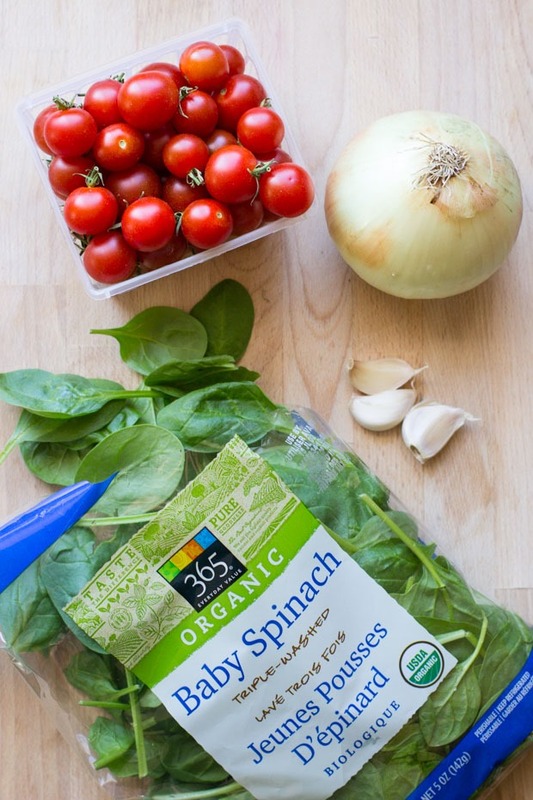 Once all of the spinach is wilted, remove from the skillet and set aside on a plate lined with paper towels. This will help absorb some of the excess moisture. Preheat the oven to 375°F and grease a 9 x 13” casserole dish. 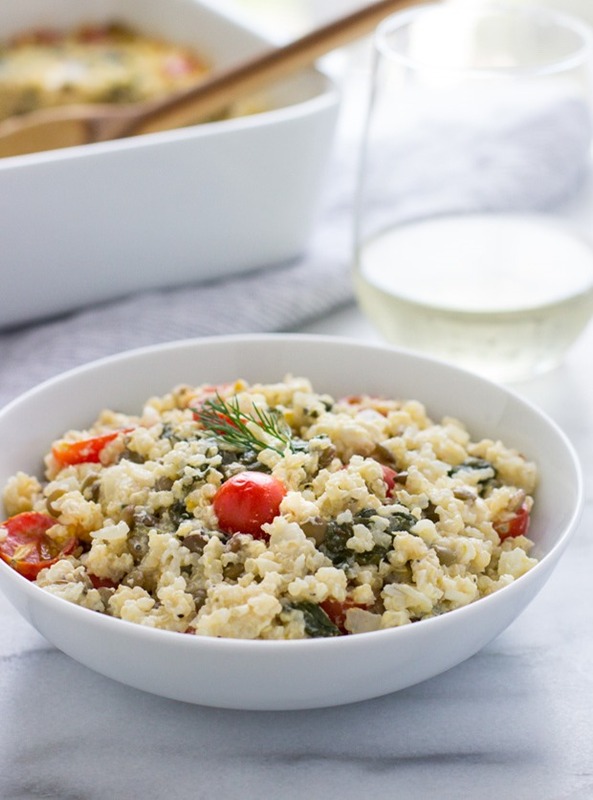 Combine the cooked quinoa, lentils, spinach mixture and tomatoes in a large bowl and set aside. In a separate large bowl, combine the yogurt (if using), eggs, feta, dill, and salt & pepper then stir together. Next add the quinoa mixture to the bowl with the eggs and feta and mix until everything is evenly coated. Pour the mixture into the casserole dish and bake in the oven for 35 to 40 minutes, until light golden brown on top. Allow to cool for at least ten minutes then serve hot and enjoy! Leftovers can be stored in airtight container for up to 3 days. 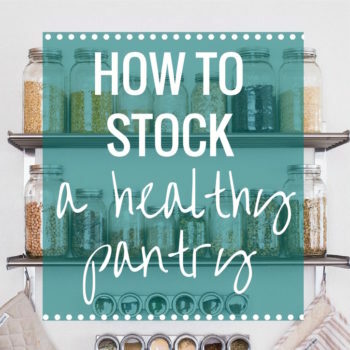 To save time, you can use precooked lentils and quinoa or cook them in advance. Timeless.classic. 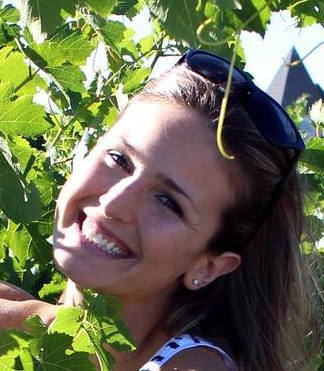 I totes checked up on your original post, and I think your photos are very pretty! It’s funny how we’re our own worst critics when it comes to our own work. But girl, your talent is amazing and I’m blown away by your photos all the time. I MUST try this casserole! 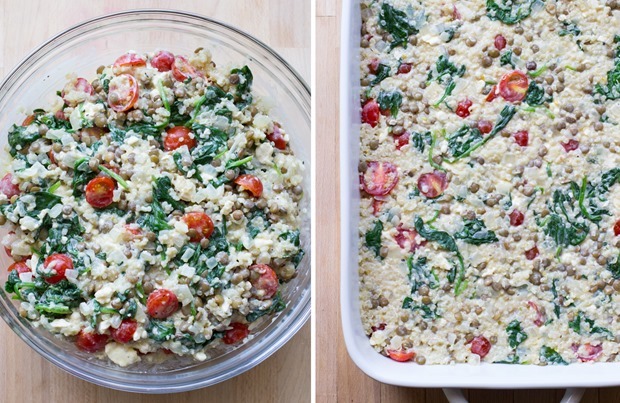 I’ve done a mediterranean quinoa salad thingamig in the past and loved it, but this casserole looks like the gateway to true comfort. Have a marvelous weekend, love!! Ahh this looks so good! I can see why it’s so popular. I’m not a lentil fan, so I’d probably work around that, but these are all flavors I love. I feel like it would make great leftovers for work too. This casserole looks absolutely awesome – I can see why it’s been so popular! Have an absolutely wonderful weekend Sarah!! So I don’t think the original recipe looks bad at all! But I know what you mean about wanting to go back and revamp everything — I’ve done the same with some of Spoons’ recipes. And I’d seriously kill for a bowlful of this casserole right about now. 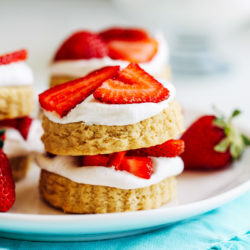 We’re having a super chilly day and Im craving some summer comfort food! Sarah, This looks and sounds so good. I ran out to Trader Joe’s this evening to pick up what I didn’t already have on hand and the ingredients for the blueberry and peach crumble. Looks like I have the beginnings of my menu plan for the week. Don’t be so hard on yourself for the first run of this recipe. Just remember that Rembrandt didn’t start out painting masterpieces. He had to grow too. I think you do a great job and I look forward to every post. I was just thinking the exact same thing about pretty much all of my early posts (and still some more recent ones!) I guess it is good to see how far we have come! 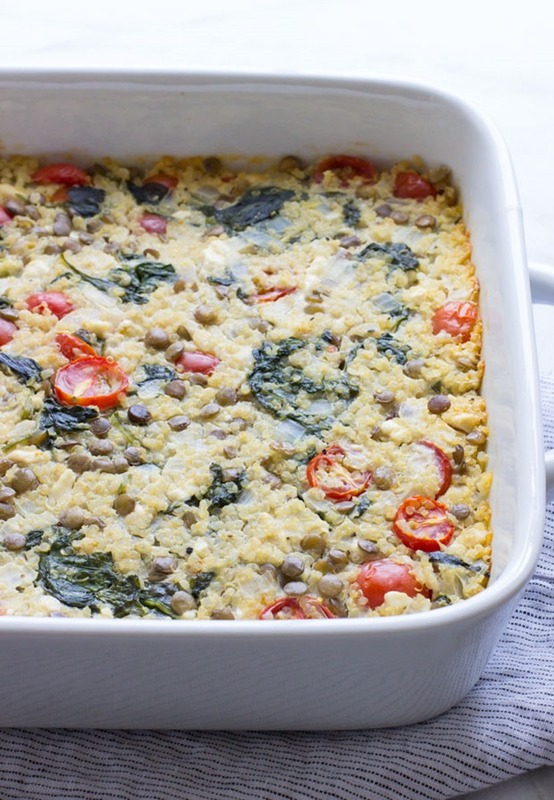 I love casseroles like this and I especially love Mediterranean food! Mmm, I went out to a Mediterranean restaurant last weekend and now I’ve been wanting to make lots of Mediterranean themed food. This looks so good! I know exactly what you mean about wanting to redo your old posts. Some of mine make me cringe a little! Haha. Would it be weird to add mushrooms to this? It looks fantastic and I can’t wait to try it! 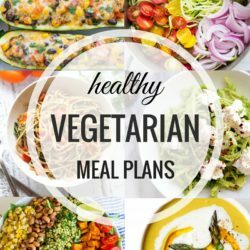 I’m not a vegetarian but I do try and eat some meatless meals for health reasons and this looks like a great one to try! I love dill! Made this to have something to eat on all week. Loved it! The tomatoes I got were really under ripe, so I roasted them for a few minutes under the broiler with some olive oil and it really helped! This going to be a staple. I made this tonight and it was delicious! Thanks for the recipe. 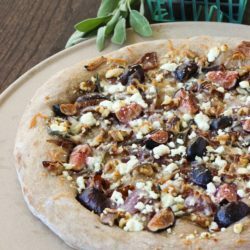 For those looking to know if adding/subtracting works with this recipe, here’s what I did: I added Kalamata olives and mint leaves, since I had them in my kitchen and it was delicious. I did not have cherry tomatoes, so I used ripe vine tomatoes, cut up into small pieces, and it worked fine. I did not feel like spending the time to cook lentils, so I just skipped them and nothing seemed lost in terms of consistency or texture. 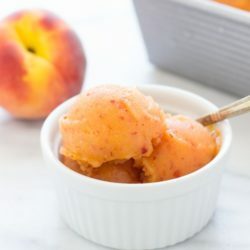 I added just a scoop of yogurt, and it added a nice cream without being overwhelming. I also added a dash of red wine vinegar to the mixture before baking — I worried after doing this that I would mess it all up, but it couldn’t really be tasted. I would say I wouldn’t add that again, but it did not mess up the dish! Lastly, I did not stick to exact amounts for each of the ingredients (for example, only used 6 oz of spinach and estimated the salt and pepper) and it was still great. Thanks again. Hi Megan, I’m so glad it turned out well for you! I love the addition of fresh mint. Sounds wonderful! Thank you for the feedback! I made this tonight and it was amazing. Excellent recipe. So light but filling at the same time. Hi Megan! I haven’t tried freezing it so I’m not sure. Please let us know if you end up trying it! Is there something I could substitute for the yogurt as I’m lactose intolerant? I’ll be making it later this coming week. Thanks…it sounds delish! Hi Lynne! You can try leaving it out or substituting with a dairy-free plain unsweetened yogurt. I hope you enjoy it! Really excited to make this! However when I try to log it into MyFitnessPal, the calorie/fat/carb content is much higher than the 191 calories you have. 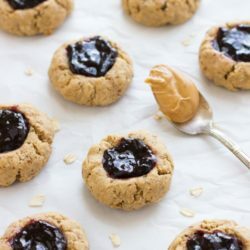 The app matches up the ingredients and says it’s 308 calories/17 g fat/19 g carbs (and that’s with widdling down/finding alternatives) so what ingredients/brands are you using in this recipe that make the nutrition counts so low? Thanks! Sounds delicious, but the calorie count is barely enough to cover the quinoa. Are you sure the servings aren’t 8? I’m getting about 400 calories per serving for 4 servings. And that’s using reduced fat feta. Hey Justin! Thanks for pointing that out. I’ve actually been in the process of updating my older recipes with new nutrition facts because I realized the calculator I was using wasn’t very accurate. I’m now using My Fitness Pal for the calories which will still vary greatly depending on the specific brands you use. So your own calculations will be ultimately be the most accurate. I went ahead and attached a link to the updated nutrition facts above. I hope that helps! Made this for dinner, and had multiple requests to add it to “the regular rotation”. Thanks for the new family classic! Yay! I love hearing that. Thank you for the review, Rebecca! Made this tonight. It was really good! Even my husband liked it and he doesn’t do meatless meals much!